As a mom of four, and someone who was pregnant for what like half of my life, I know that things have definitely changed for me. Whether it be the way you interact with your friends, the priorities you hold, the hangovers, etc… there are some major things you notice once children come into the picture. 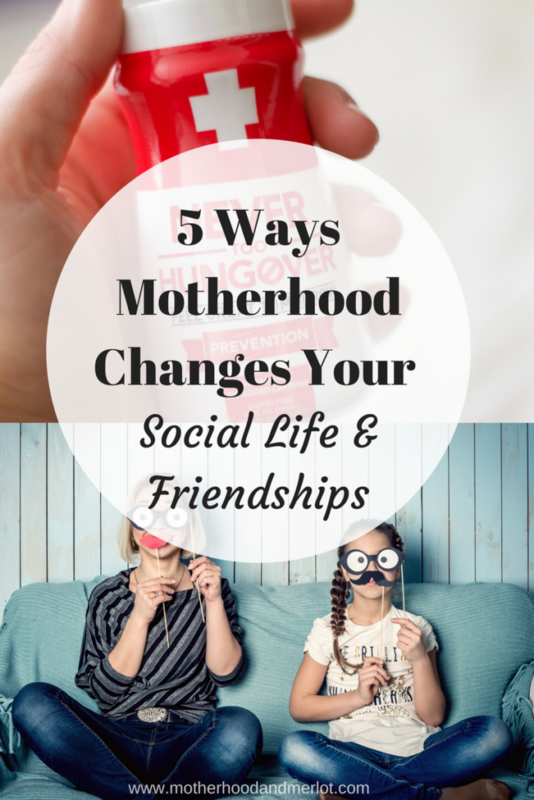 So today, I am sharing how friendships and social life change after motherhood, the good, the bad, and the not so pretty. 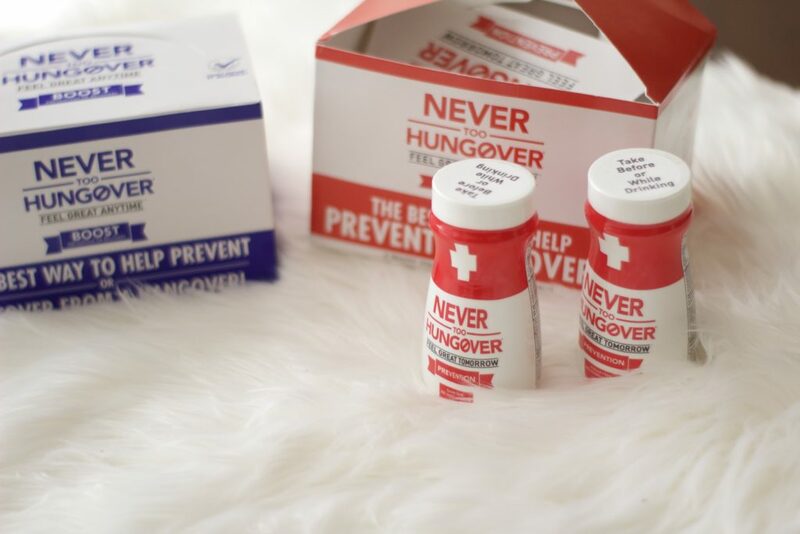 *This post was done in partnership with Never Too Hungover. All of the information and opinions in this post are 100% my own. Thank you for understanding and for your continued support of Motherhood and Merlot. You’ll see a difference between hanging out with “mom” friends and “non-mom” friends. This doesn’t mean that we don’t love and appreciate our non-mom friends, but you can see a definite difference when you are sitting around the table with a group of friends who don’t have kids, versus a dinner table full of talks about dance class, elementary school problems, and diapers. Having friends on both sides of this coin are important, because they bring different things to the table for you socially, and for your sanity! Plus, you may discover the truth about some friendships, and you’ll have to either adjust to the changes or make room for new friends. You just don’t have the time. Between diaper changes, feedings, nap times, and activities, you really just don’t have the time for many other things aside from your kiddos. This doesn’t include taking care of the house, your responsibilities and hobbies, or taking care of yourself! To me, while difficult, it is a blessing to have little humans who your world revolves around, watching them grow and thrive. This becomes even more true after they get into school and more activities. Our girls are in dance right now, not to mention being invited to birthday parties and other school events, and the little time that we did have is now even shorter! Plus, you will always choose your kids before friends… always. So the time that you have to spare is PRECIOUS. Read here about 5 moms and a real life look into their days. REENERGIZE – Rally after happy hour with B vitamins, green tea extract, milk thistle, and more great ingredients. You can use code MOTHERHOODANDMERLOT for 25% off your purchase. How great would this be for a mom, a bachelor/bachelorette party gift, or a stocking stuffer this holiday season? What are some of the biggest changes that you noticed in your social lives after becoming a mom? One of my old friends said she missed how our lives used to be, it made me sad, because things do change over time. You had me at point number one. But honestly, I totally agree with this. I just have a daughter so far, but I had her when I was 29…plenty of single adult life and friends, a career, etc, met stay at home isolated mommy. It took me awhile to re-acclimate and figure out how my “new” life could work. The great thing about us? We live and breathe versatility. 😉 Thank goodness for that.